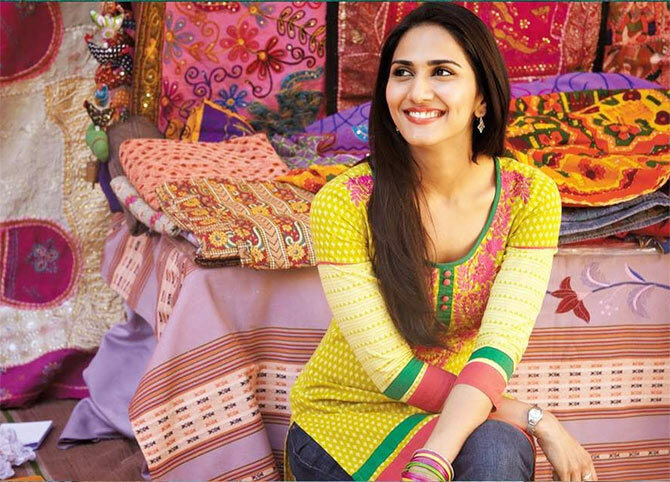 At 70 kilos and wearing braces, Vaani Kapoor never thought she could become a model, forget a Yash Raj leading lady. Fate obviously had other things planned for her, and this Friday, Vaani will make her acting debut in Shuddh Desi Romance, a Yash Raj production co-starring Sushant Singh Rajput and Parineeti Chopra. 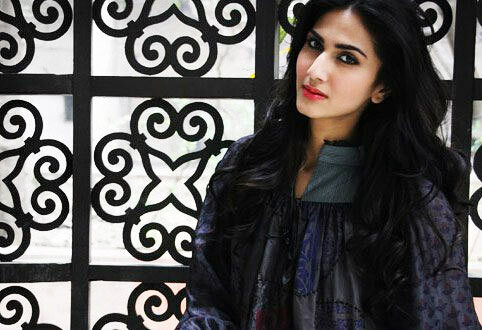 Vaani discusses her first film with Patcy N, and admits that she was terrified of the film's director Maneesh Sharma during the shoot. My father is an entrepreneur -- he exports furniture. My mother was a teacher all her life; now she is into marketing. I have an elder sister, married and settled in Holland. I did my bachelor’s degree in tourism studies, which is how I did my internship with hotels like Oberoi. Then I worked with ITC for a while and after that I started modelling. I was a very chubby girl at 70 kilos and plus, I had braces. So it was really weird for me to have thought of being a model. But my mother thought I should try it. Parents always think their child is the most beautiful person. I went to Elite Modelling Management to check whether I can join their grooming course. I wasn’t hoping for them to take me as a model because I guess models don’t weight over 50 or 55 and they don’t have braces, but Elite took me. They told me that I am pleasantly plump and they really like me. They took me for the grooming course and told me that after my braces are off I can start modelling. How did you lose all the extra weight? Gradually. I knew that I had to model so I had to lose weight. I enjoy dancing now. I went to a gym, I did everything to lose weight. I cut down on junk food. Is it true that Aditya Chopra saw you at a modelling event? No, nothing like that. Shanoo Sharma (casting director for Yash Raj) short-listed my photographs. I had never sent my pictures to any production house. Production houses approach modelling agencies to scout for new talent. I was just one of the girls whose photos got shortlisted by Shanoo. I went through a proper round of auditions to be able to meet Aditya Chopra. How was it meeting Aditya Chopra? Shanoo came with me when I first time met Aditya Chopra, as I was new to the industry and I felt like a completely alien. I had started coming to Yash Raj for workshops. I would dress casually and tie my hair anyhow because I thought no one is watching me. The day I had to meet Aditya Chopra I dressed up well. I wore a dress, I blow dried my hair and wore make-up. When I met him the first thing he said was ‘Why are you so dressed up, what happened to you?’ I told him ‘Nothing, I thought we are having a formal meeting’. He told me ‘I like people when they are very simple and natural. I don’t mind you casually dressed because that is what you are’. I was not sure whether that was embarrassing or flattering! He made me feel very comfortable. Whatever he said made complete sense. He is very wise, he has simple things to tell you but they are honest and sensible. What was the first day of the shoot of Shuddh Desi Romance like? The first day of the shoot was not very stressful. I had no dialogues, but I had to express without dialogues. I can’t talk about the scene as I have been told not to give out any scenes. It wasn’t a lengthy scene; they kept it very easy for me. How was the whole shooting experience? These are moving cameras and they capture every mistake of yours. I wasn’t as nervous as I thought I would be facing the camera. Of course, I can always improve and it can always get better. In the film, Parineeti Chopra and Sushant Singh Rajput are in a live-in relationship, so what are you? The third angle? Are they really in a live-in relationship? I don’t know. I can just talk about my character. She is very straightforward girl, she doesn’t care about anything, she is very bluntly truthful, she has no regrets and no apologies. She belongs to a lower middle class family. She is different from what people expect a girl from that background to be. How is your director Maneesh Sharma to work with? He was blunt and honest with me, but it felt very hurtful. But at the end of the day I know that he is a director and this is serious business. It is good that he was honest with me and didn’t mince his words so I knew exactly what not to do. How was it working with Sushant Singh Rajput and Parineeti Chopra? They are very easygoing and made me feel very comfortable. I have lots of scenes with Sushant. He was very patient with me. There were three youngsters on the sets, so did you have lots of fun? Probably because this was my first film, I couldn’t have that much fun. Plus, Maneesh was around and I was afraid and intimidated by him. What were the toughest scenes? There was a scene with me and Parineeti, which was a conversational scene but tough. I am very different from the character I play, we don’t think alike. It was difficult for me to be convinced of some of the things that my character was doing. If you are not convinced, you can’t convince anyone else. It took time for me to play my character convincingly. You have a three-film contract with Yash Raj Films? Yes, I have. I don’t know what my next two movies with them are. But I can work outside Yash Raj even when this contract is on. That is the best part of this contract; they have not put any restrictions on me as such.